Donich Website » In which we have a glut…. In which we have a glut…. We now have a seriously large number of tomatoes getting ready every day. They are lovely and flavoursome and sweet – actually much better than even the expensive vine tomatoes from M&S or Waitrose (or even Lidl!). R will not eat tomatoes unless they are cooked – but these ones are actually nicest just eaten straight off the vine while they are warm from the sun. So all the food at the moment has a tomato theme. 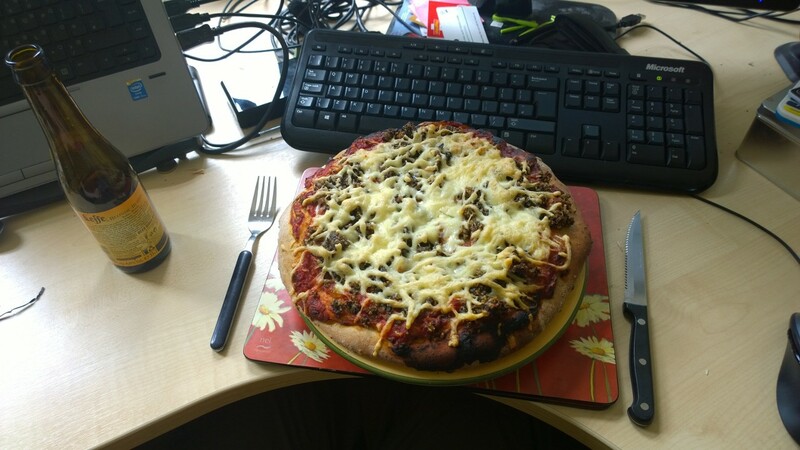 A few days ago I made home made pizzas – bases made from scratch with organic flour, and the sauce from home grown tomatoes and onions. R then spoilt the whole healthy eating part of it by choosing his topping as haggis. 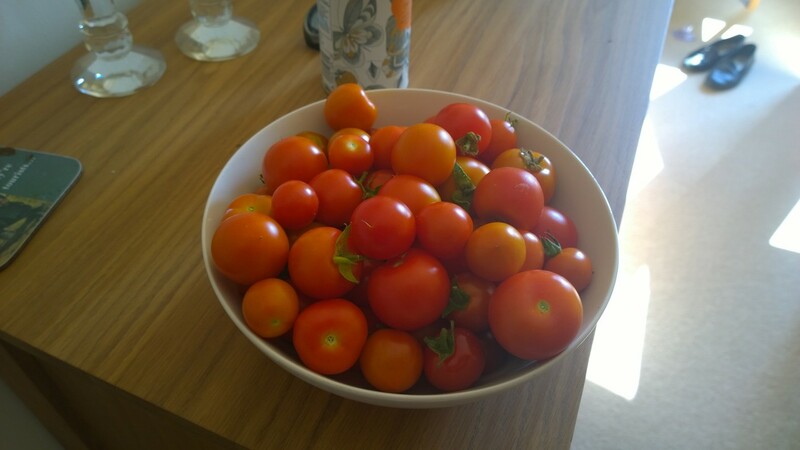 The main picture is a healthy bowl of tomatoes – guess what the other picture is of…..